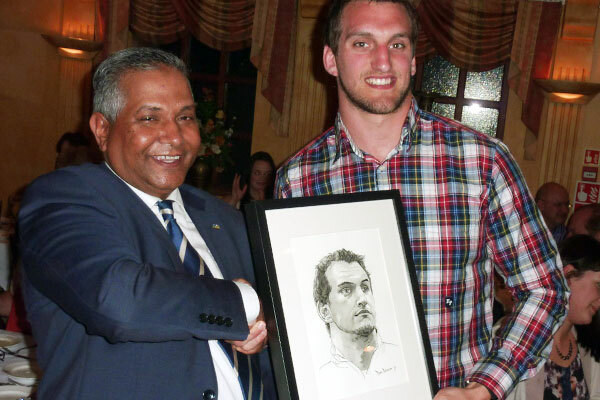 Ana Miah, Juboraj Group Director, hosted an evening for one of Juboraj Rhiwbina’s regulars – Sam Warburton. It was an evening of celebration organised by Ana and Sam’s parents to celebrate Sam’s selection, not just to the British and Irish Lions Team, but his selection as Captain of the team that is currently touring Australia. 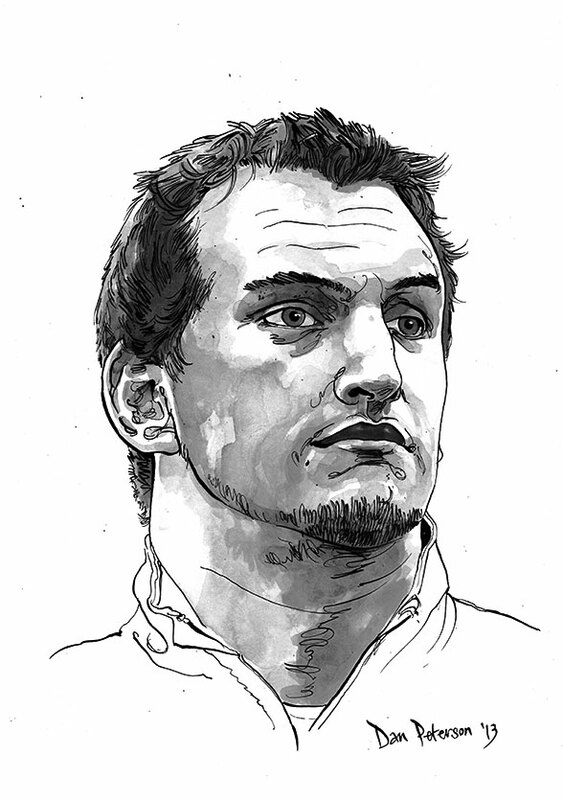 Sam and his parents have been regulars at the restaurant for many years so it was with great pride that Ana hosted the evening for a local lad who he has seen grow into a man fit to captain the most prestigious Rugby Union sides in the Northern Hemisphere. 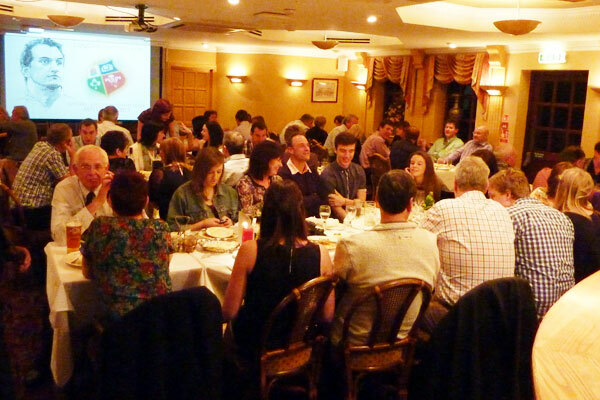 The evening saw speeches from friends and family and from teachers from Sam’s old school Whitchurch High School. Sam was presented with a portrait by artist Dan Peterson, commissioned by the Juboraj especially for the occasion. The Juboraj wishes Sam and the rest of the team the best of luck on the tour!